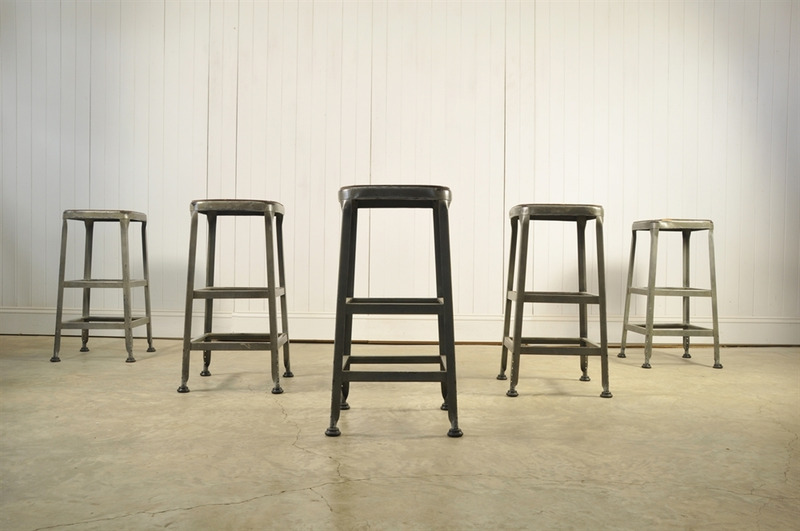 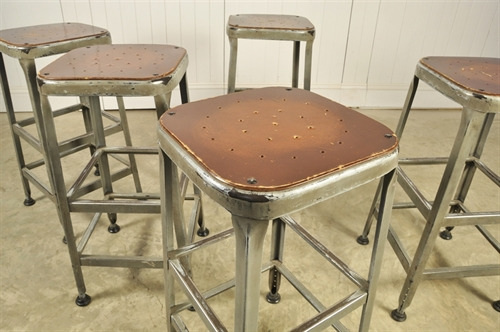 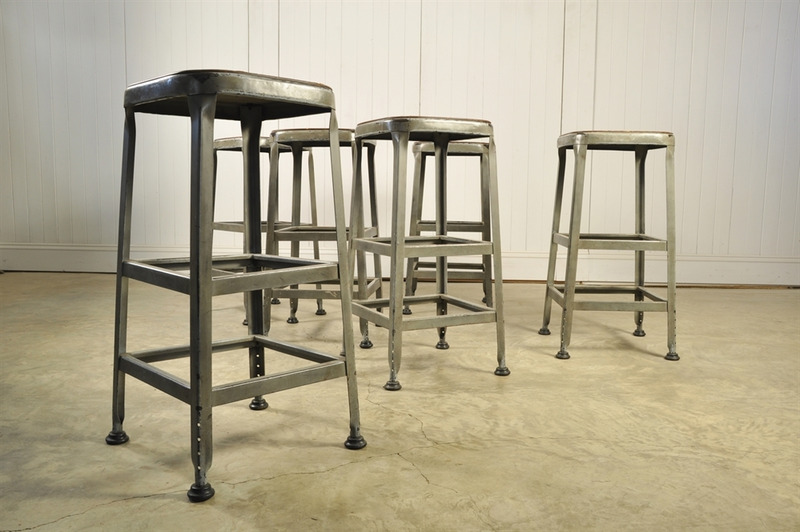 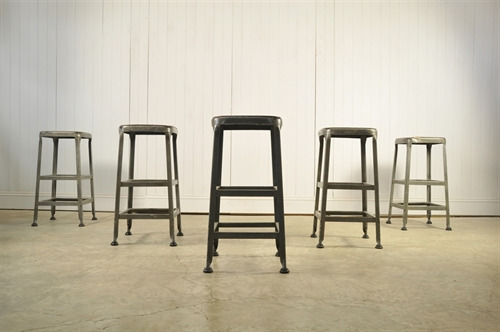 Vintage Factory Stools - Original House – Decorative Antiques, Vintage Industrial Furniture and Lighting, Cotswolds. These Circa 1960's stools were sourced from a factory in Cornwall. 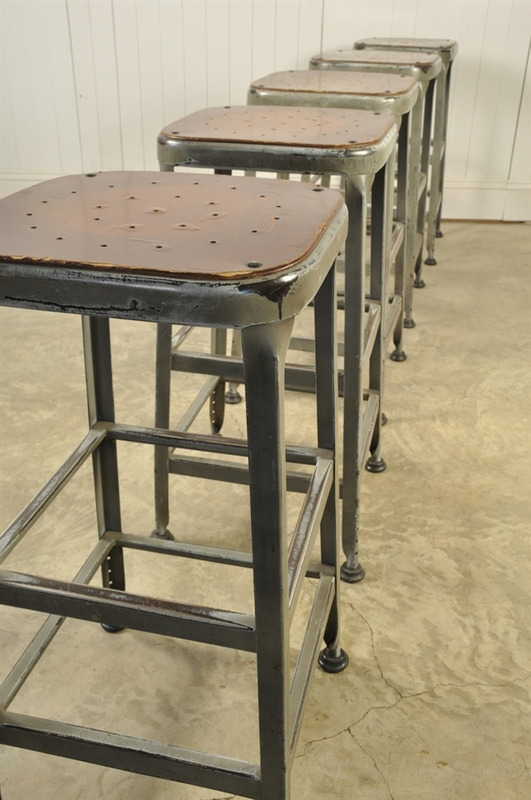 Lovely naturally rubbed back paint to the steel frame with plenty of natural patina and wear to both the very sturdy frames and hardboard seats. 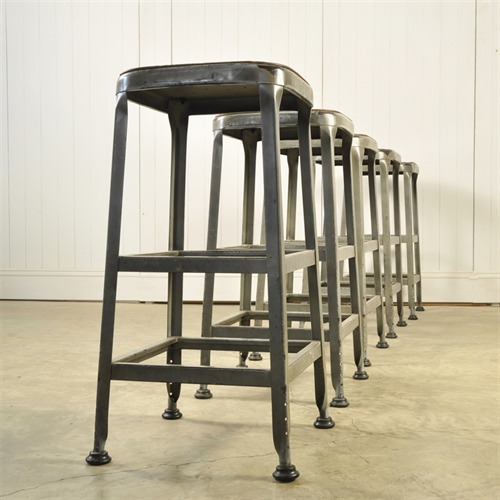 Usefully these have very good rubber feet. 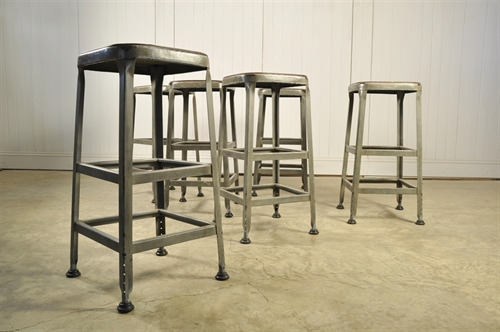 15 available, priced and sold individually. 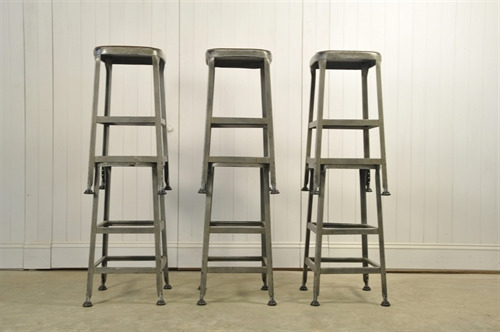 74 cm h x 35.5 x 35.5. 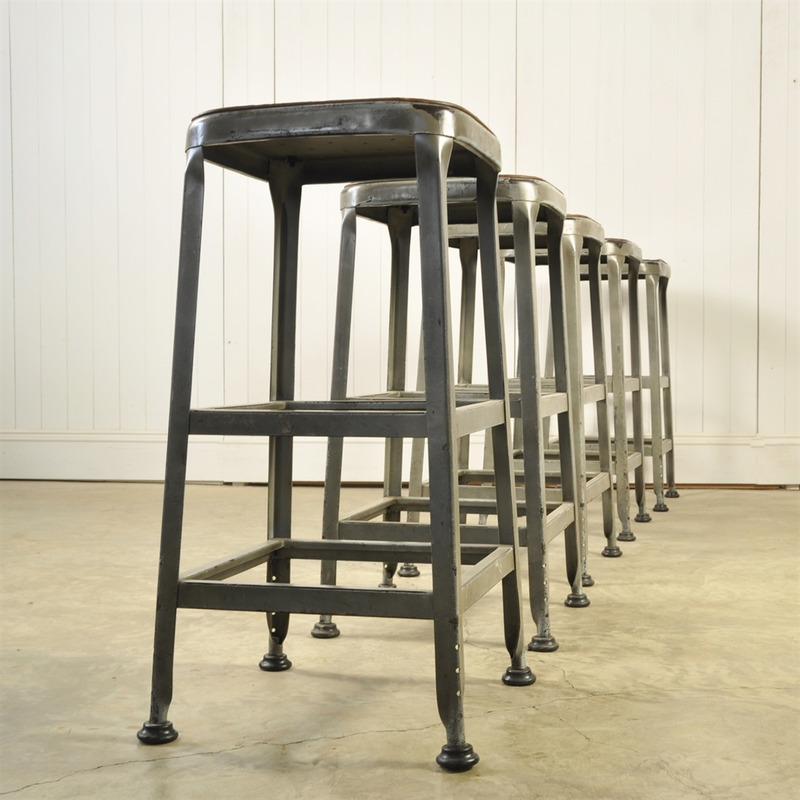 Perfect Bar stool height.